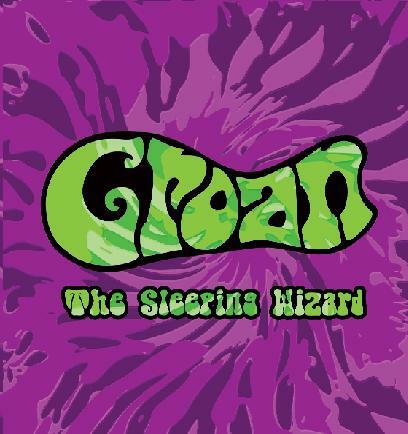 One thing is certain: with regard to 1970's doom-infected heavy psych rock, UK's GROAN are undoubtedly the best newcomer band in 2010. 'The Sleeping Wizard', released by Doomanoid Records, is an impressive debut from a very young band that sounds dynamic, lively and absolutely fresh. Of course it is easy to detect their influences and there is plenty of early Black Sabbath and mid-1990's Cathedral resonating here. All this has been fortified by addition of an appropriate amount of heavy metal and the talent to write truly remarkable songs. There are seven tracks and each one of them has its charm and attraction. This is also due to the fact that the blood of this four guys is saturated with blues and rock 'n' roll. Furthermore, you should not underestimate the anthemic qualities of their songs. The title track 'Sleeping Wizard' is powered by a heavy Sabbath-esque boogie groove and belongs to one of my faves of this album. It has etched itself into my mind. The opening track 'The Ride of the Anarchist' is GROAN's most metallic track on the disc while 'Ancient Space (Master of Time)' shows that the band is also able to write more threatening tunes. Mazzereth's vocals are in a high register and they add a unique mark to the tracks. Sometimes GROAN reminds me to Orchid, especially when the Black Sabbath influences shines through. But, due to the production, this album is more like a garage-y version of the Sabbath / Orchid / Cathedral formula and that is definitely not a bad thing, because I like the raw and unpolished sound of 'The Sleeping Wizard'. That says it all, really. Therefore my hint: go and check out GROAN, because they deserve it!